New applicants should print or copy the form below, complete & return to the Hon. Secretary with the appropriate fee. 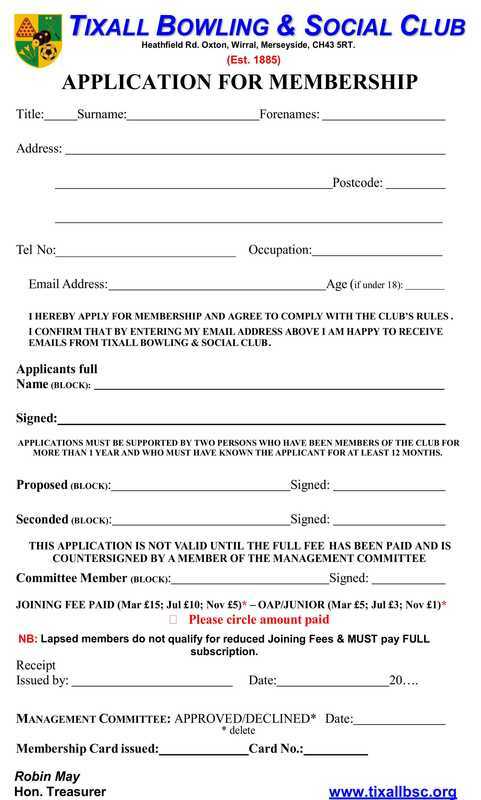 Applicants who do not know any Club Members should complete the form & return it to the Hon Secretary with a covering letter telling us a little about yourself to enable Committee to consider your application.